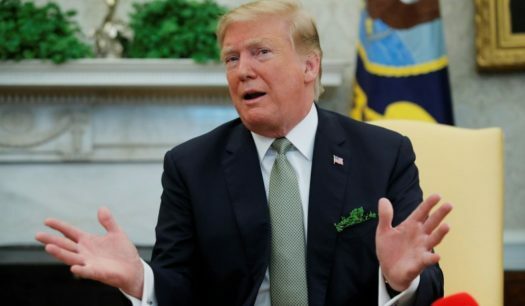 President Donald Trump issued his first veto Friday, rejecting a piece of legislation that would block his national emergency declaration. Trump’s actions represent a clear abuse of his veto powers. The purpose of the president’s veto power is to allow the president to stop items of legislation that present a threat to the United States. Instead, Trump is using his veto powers to undermine the constitution and the will of Congress. The legislation rejecting a national emergency passed with bipartisan support in both chambers. Trump’s veto defends and already unconstitutional action — his national emergency declaration. The bottom line: the constitution gives the power to appropriate tax dollars solely to Congress. No loophole will change that fact. And any attempt to circumvent that fact violates the constitution. Despite the veto, it’s likely that Trump’s national emergency won’t stand for long. It’s already being challenged in the judiciary. Trump should rescind his veto in order to maintain the will of Congress.